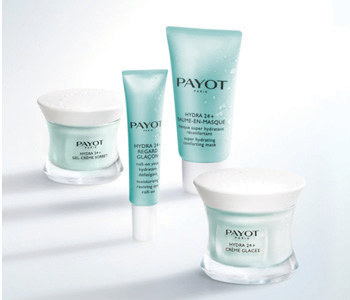 The PAYOT Hydra 24+ skincare collection preserves the skin’s youth with a range dedicated to hydration. Designed with dehydrated skin in mind, each PAYOT Hydra 24+ product contains a high concentration of water, as well as a next-generation Hydro Defence complex, which rejuvenates the skin’s water circulation to plump and firm the skin from within. More than skincare, the PAYOT Hydra 24+ range presents a pampering experience for both the skin and senses, with a combination of unique fragrance, intelligent formulas and refreshing textures.